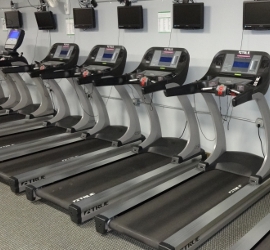 We are equipped with carefully chosen top quality cardio equiptment, weight machines, and core strengthening gear to help you get your needed workout in a quick and efficient manner. Televisions, WiFi, and interactive workours help members achieve greater fitness goals, while keeping workouts fresh and fun. Our facility has video monitoring and an electronic entrance for your security and safety. 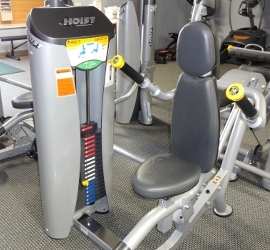 We also have a changing area and lockers to store your belongings while you workout.